This new GUCCI GUILTY is inspired by a generation that don't believe in conformity, submitting to labels or to gender rules, breaking free from common social boundaries. They express themselves however they want, with whomever they want and passionately explore whatever they want. 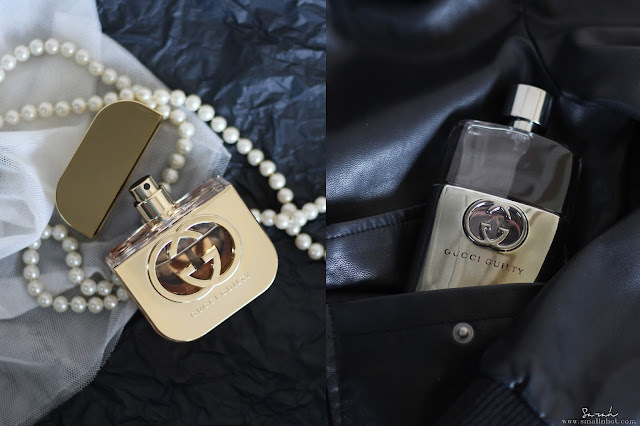 This modern declaration of self-expression, freedom and sexuality ignites the new chapter of Gucci Guilty. "I just want people to feel free," - Alessandro Michele. When I first encountered the fragrance there was something about it that made me think of - new, fresh and slightly unisex. I'm not sure if it was the Fougere accord of Geranium which was usually found in men's scent or the notes, but to me it was like a more sophisticated and the not-so-girly kind of perfume which is why I like it. It doesn't come with a fruity nor very floral scent like the typical FOR HER perfume, even though it has the notes of Lilac Flower with Amber. Yes, you do still get the floral scent on the first few minutes when you spritz it on but when it settles in, you'll have a fresh and soft scent lingering around you. I do recommend having a whiff before you buy because it's not your typical girlie scent. 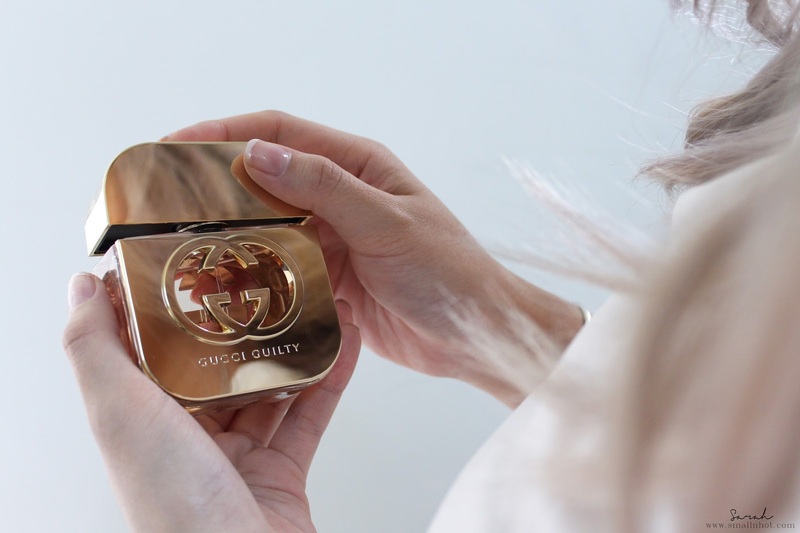 Breaking from the norm of men's fragrances, Gucci Guilty For Him has quite a lot of floral notes in it - sensual Orange Blossom, intensified with seductive notes of Lavender and Patchouli at the base. After I read this it definitely all made much more sense because I could smell the Orange Blossom and Lavender. To be honest, I didn't fancy it on the first spritz because it's packs some serious punch..! In theory it has headache written all over it but somehow I do find it quite pleasant to my liking after a while. Not to say that I love it but I won't mind wearing it once in a while or having it on my man.